CSG stands for Constructive Solid Geometry, and is a tool to combine basic shapes or custom meshes to create more complex shapes. In 3D modelling software, CSG is mostly known as “Boolean Operators”. 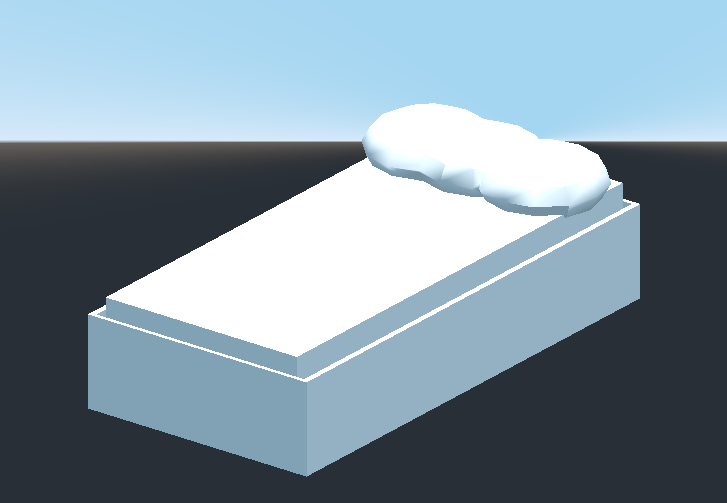 Level prototyping is one of the main uses of CSG in Godot. 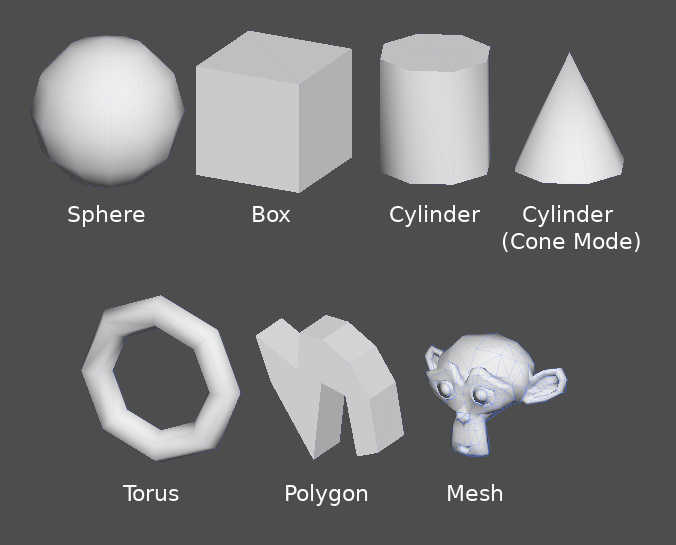 This technique allows users to create simple versions of most common shapes by combining primitives. Interior environments can be created by using inverted primitives. Union: Geometry of both primitives is merged, intersecting geometry is removed. Intersection: Only intersecting geometry remains, the rest is removed. Subtraction: The second shape is subtracted from the first, leaving a dent with its shape. 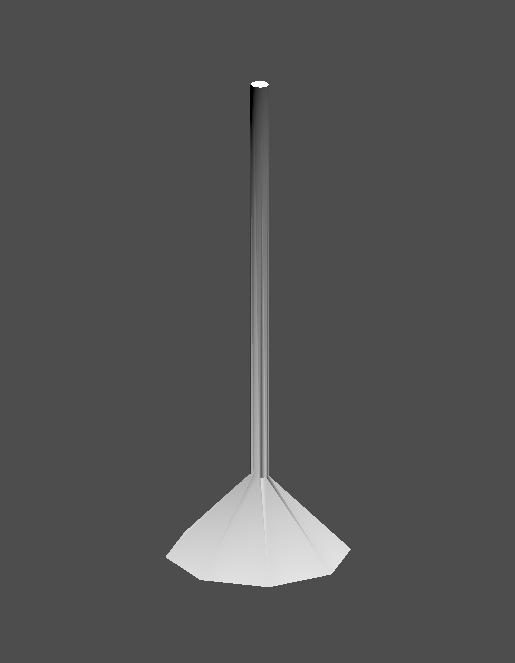 Depth: Extruded back a given amount. 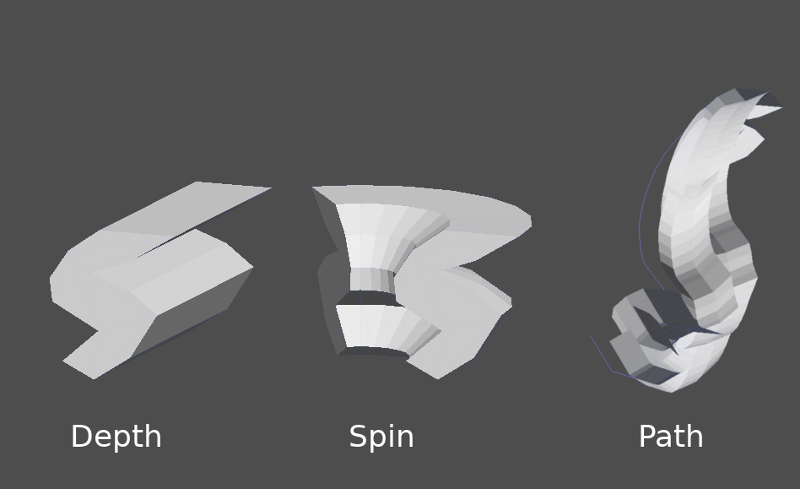 Spin: Extruded while spinning around its origin. Path: Extruded along a Path node. This operation is commonly called lofting. The Path mode must be provided with a Path node to work. 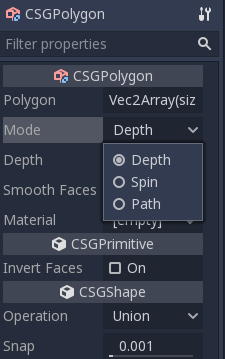 In the Path node, draw the path and the polygon in CSGPolygon will extrude along the given path. every edge must connect to only two other faces. The CSGCombiner node is an empty shape used for organization. It will only combine children nodes. Every CSG node will first process its children nodes and their operations: union, intersection or subtraction, in tree order, and apply them to itself one after the other. In the interest of performance, make sure CSG geometry remains relatively simple, as complex meshes can take a while to process. 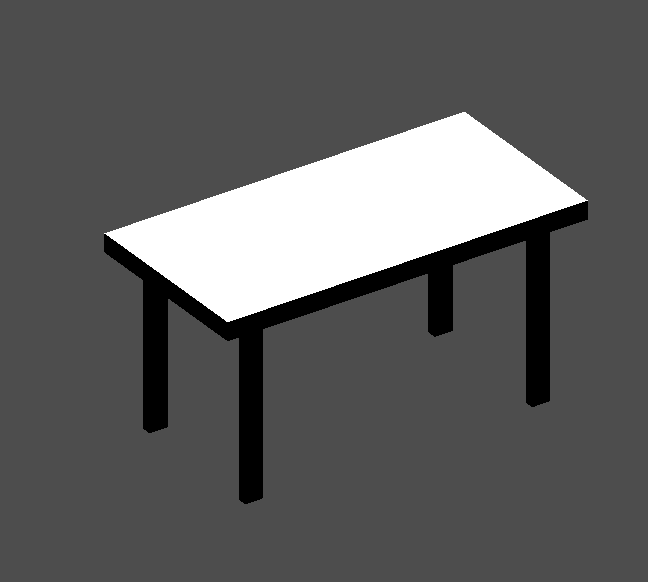 If adding objects together (such as table and room objects), create them as separate CSG trees. Forcing too many objects in a single tree will eventually start affecting performance. Only use binary operations where you actually need them. 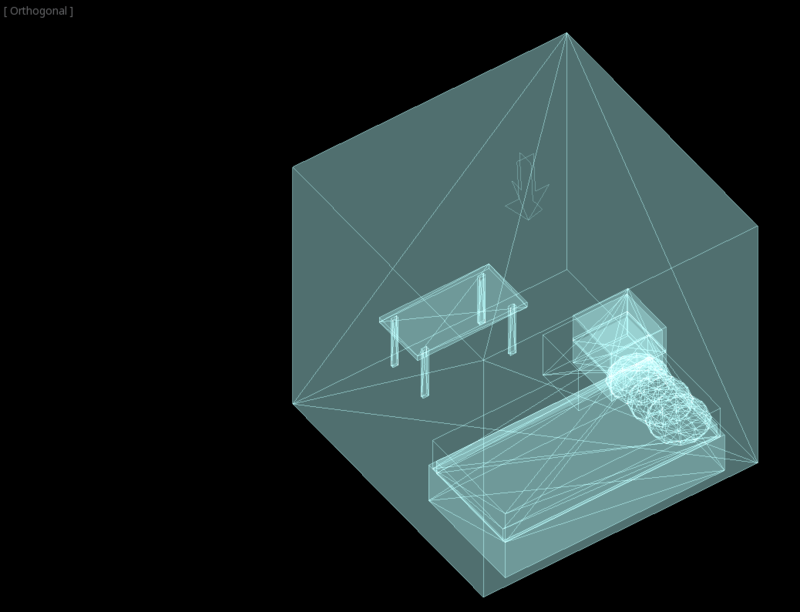 We will prototype a room to practice the use of CSG tools. 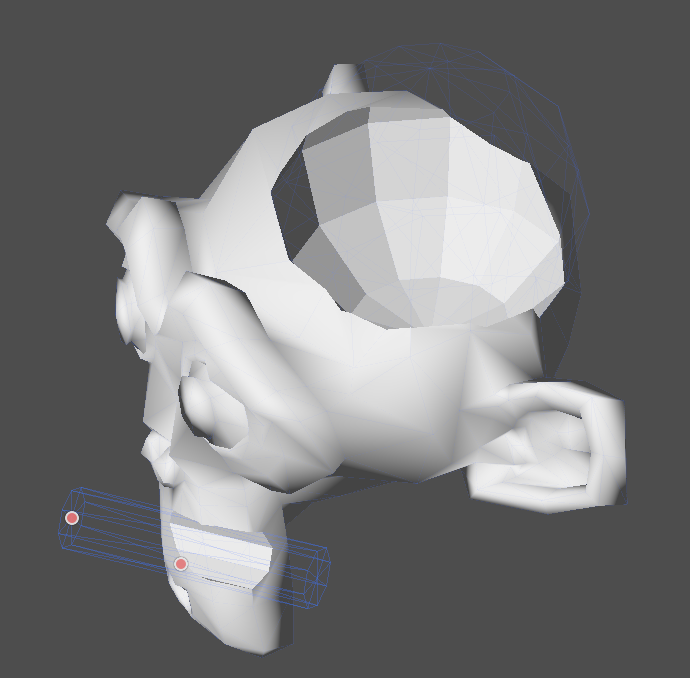 Working in Orthogonal projection gives a better view when combining the CSG shapes. 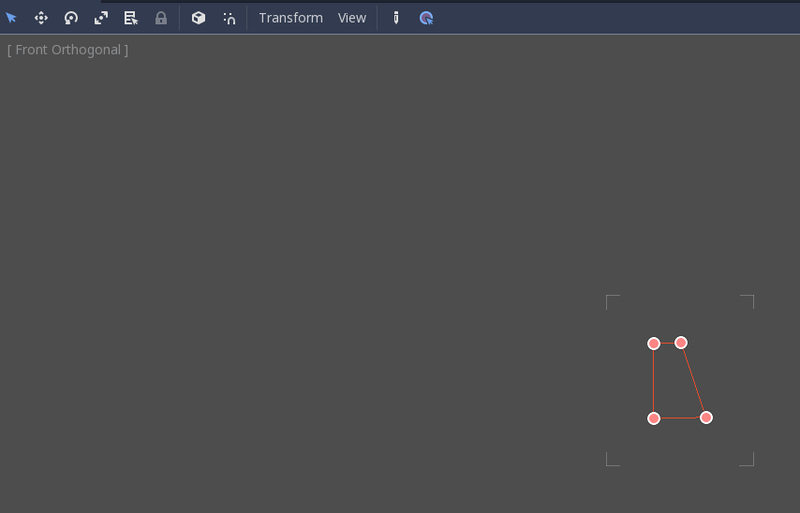 Create a scene with a Spatial node as root node. The default lighting of the environment doesn’t provide clear shading at some angles. 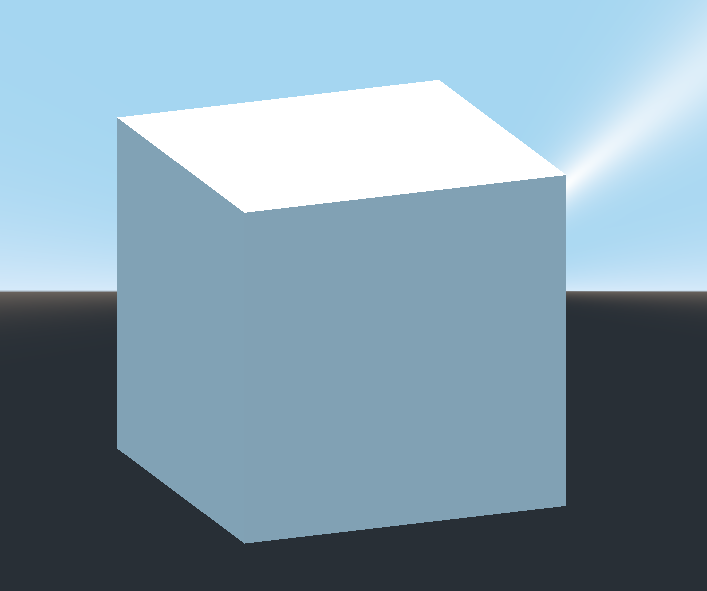 Change the display mode using Display Overdraw in the 3D viewport menu, or add a DirectionalLight node to help you see clearly. 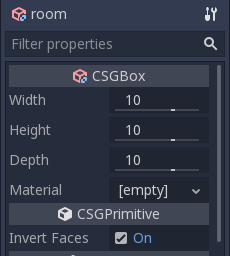 Create a CSGBox and name it room, enable Invert Faces and change the dimensions of your room. Next, create a CSGCombiner and name it desk. 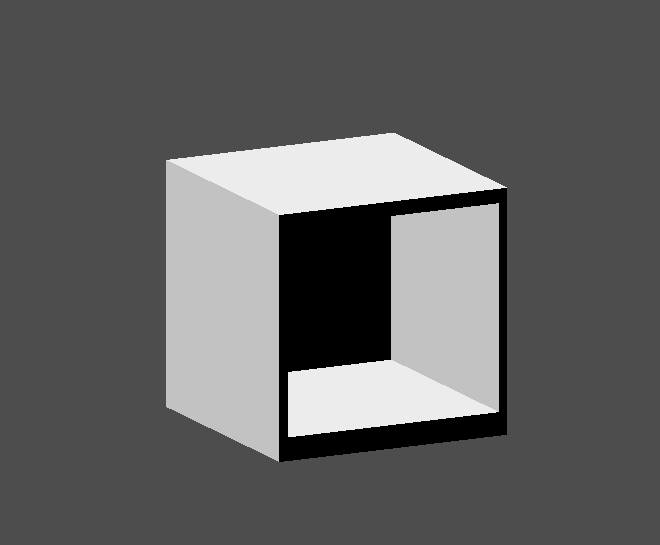 Create 1 CSGBox children node in Union mode for the surface and adjust the dimensions. 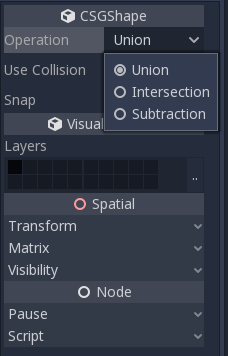 Create 4 CSGBox children nodes in Union mode for the legs and adjust the dimensions. Adjust their placement to resemble a desk. CSG nodes inside a CSGCombiner will only process their operation within the combiner. Therefore, CSGCombiners are used to organize CSG nodes. 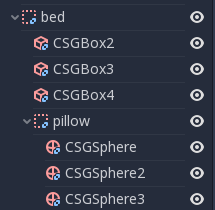 Create a CSGCombiner and name it bed. Our bed consists of 3 parts: the bed, the mattress and a pillow. 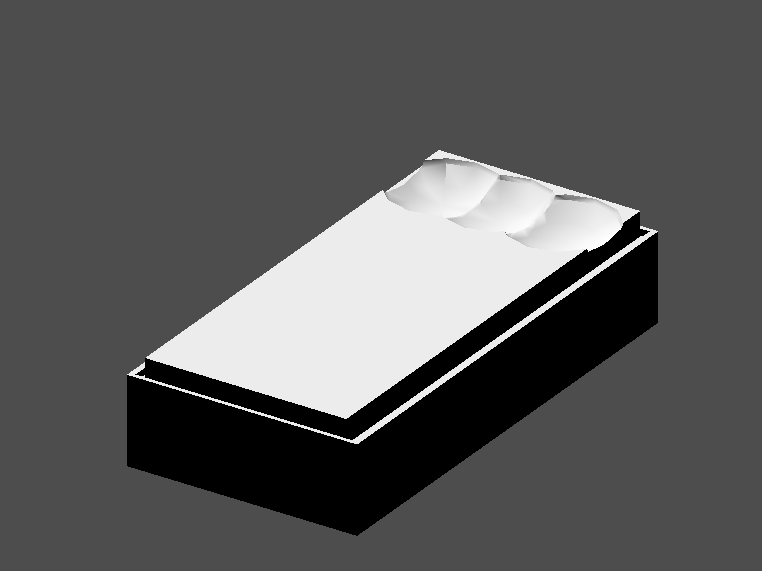 Create a CSGBox and adjust its dimension for the bed. 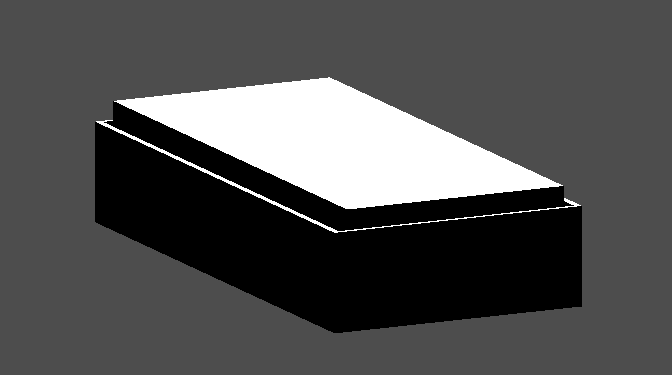 Create another CSGBox and adjust its dimension for the mattress. We will combine 3 CSGSphere nodes in Union mode to form a pillow. Scale the Y axis of the spheres and enable Smooth Faces. Select the pillow node and switch the mode to Subtraction; the combined spheres will cut a hole into the mattress. Try to re-parent the pillow node to the root Spatial node; the hole will disappear. This is to illustrate the effect of CSG processing order. 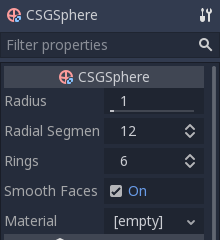 Since the root node is not a CSG node, the CSGCombiner nodes are the end of the operations; this shows the use of CSGCombiner to organize the CSG scene. Create a CSGCombiner and name it lamp. A lamp consists of 3 parts: the stand, the pole and the lampshade. 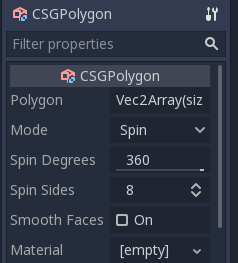 Create a CSGCylinder, enable the Cone option and make it the stand. 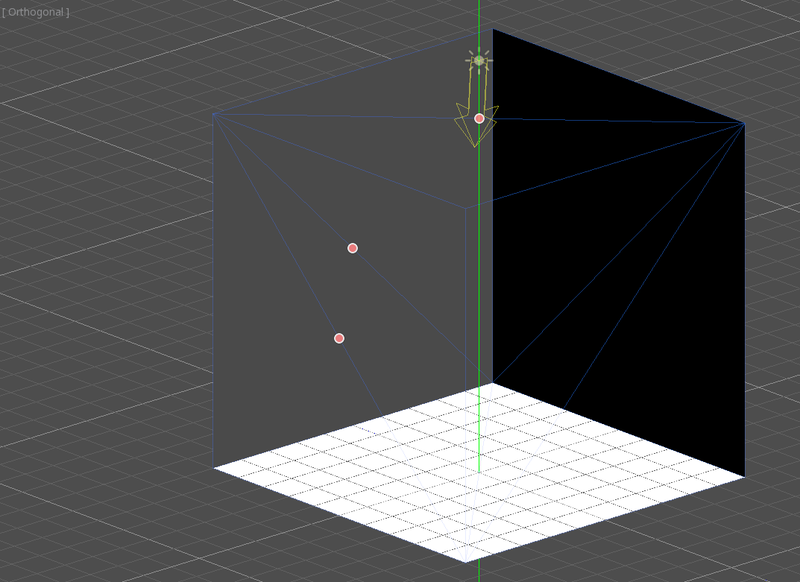 Create another CSGCylinder and adjust the dimensions to use it as a pole. 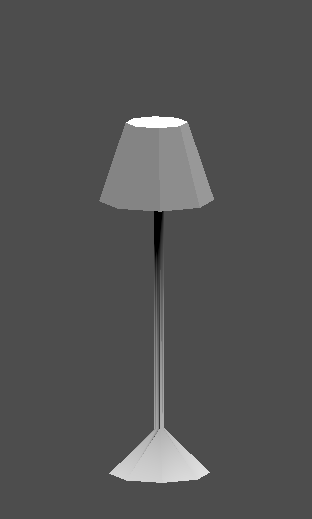 We will use a CSGPolygon for the lampshade. 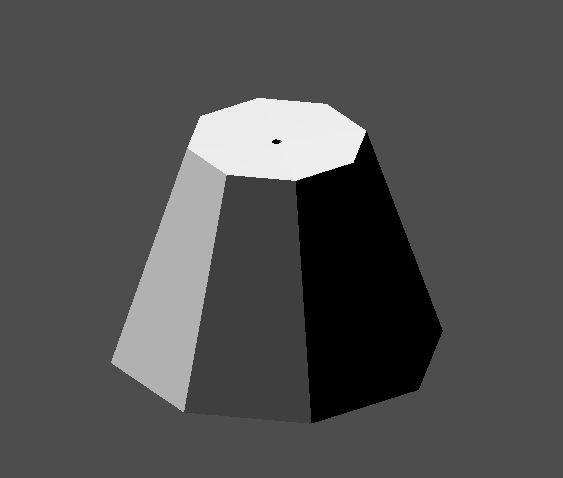 Use the Spin mode for the CSGPolygon and draw a trapezoid while in Front View (numeric keypad 1); this shape will extrude around the origin and form the lampshade. Adjust the placement of the 3 parts to make it look like a lamp. Create a CSGCombiner and name it bookshelf. We will use 3 CSGBox nodes for the bookshelf. 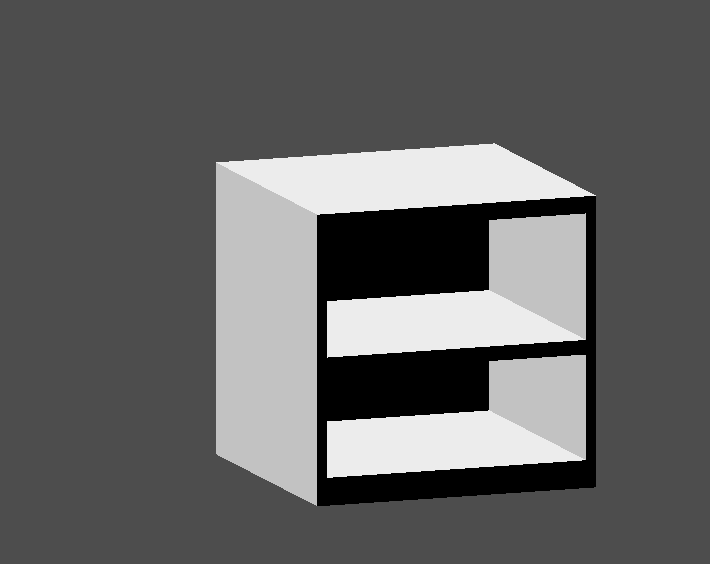 Create a CSGBox and adjust its dimensions; this will be the size of the bookshelf. 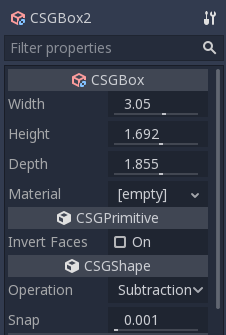 Duplicate the CSGBox and shorten the dimensions of each axis and change the mode to Subtraction. You’ve almost built a shelf. Create one more CSGBox for dividing the shelf into two levels. 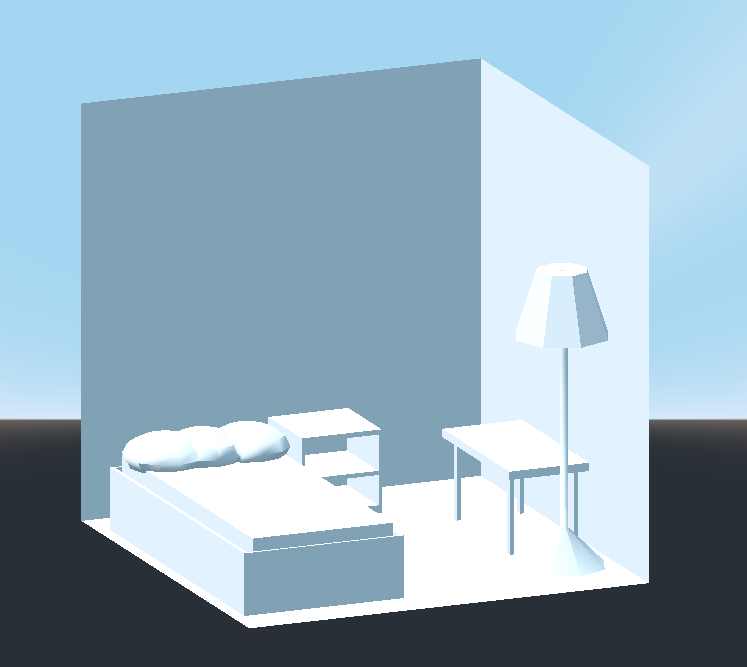 You’ve successfully prototyped a room level with the CSG tools in Godot. CSG tools can be used for designing all kinds of levels, such as a maze or a city; explore its limitations when designing your game.